Investigate fundamental physics of low temperature partially ionized magnetized plasmas and their applications. Advance the understanding of physics involved in operation of Hall thrusters, their fundamental limitations and scaling to different power regimes. 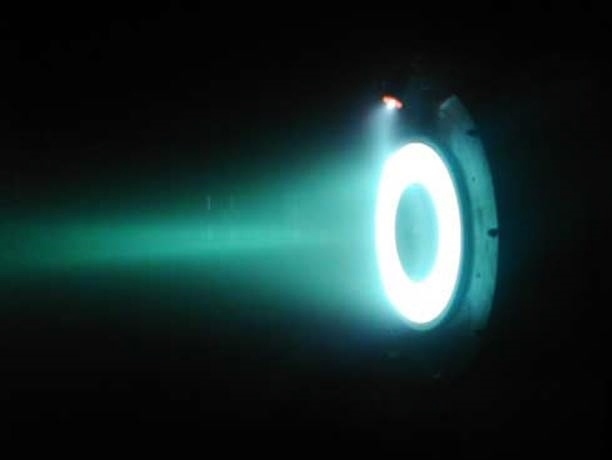 Explore new configurations of crossed field plasma devices for space propulsion, science and material processing applications. Develop new diagnostics for characterization of magnetized plasmas. Sponsors of HTX research projects: US DOE Fusion Energy Sciences, Air Force Office of Scientific Research (AFOSR), Defense Advanced Research Projects Agency (DARPA), Aerospace Corp, New Jersey Commission on Science and Technology. Contact: Yevgeny Raitses, Head of HTX.